On this day in 1683, the borough of Germantown, in Philadelphia, Pennsylvania, was founded. Despite encompassing an area of only about three square miles, the area has a surprisingly intricate history. 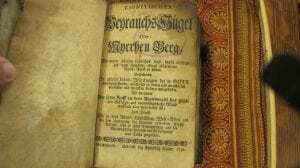 Germantown was founded by German Quaker and Mennonite immigrants, and, even today, October 6 is noted as German-American Day. Germantown first became notable a mere five years after its founding, in 1688, when America’s anti-slavery movement took off there, through the issuance of the Germantown Quaker Petition Against Slavery, written by Francis Daniel Pastorius. Germantown also served as a battleground during the American Revolutionary War, when the Continental Army attacked the British garrison there. While a loss for the Americans, the British still suffered heavy casualties. As decades have passed, Germantown’s demographics have consistently changed. While initially comprised of primarily German immigrants (naturally), in the mid-nineteenth century the demographic began to include a large number of Italian immigrants. Another shift occurred around the second World War, as African American families from the south moved to Philadelphia – today, Germantown is a primarily African American community. While Germantown boasts a truly impressive history for such a small area, what I find most interesting about the borough is its ties to the literary world and Lehigh Special Collections. 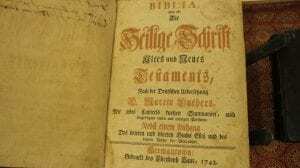 In the mid-1700’s, Germantown resident Christoph Sauer brought a new element to the infant American printing industry when he started producing books in German and with a standard German type face. 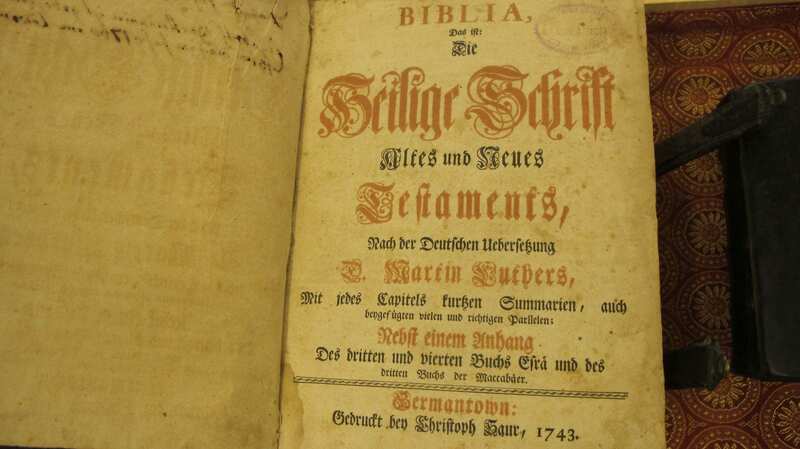 In 1739, Sauer printed the first book using a German type face – Fraktur, specifically – in America. 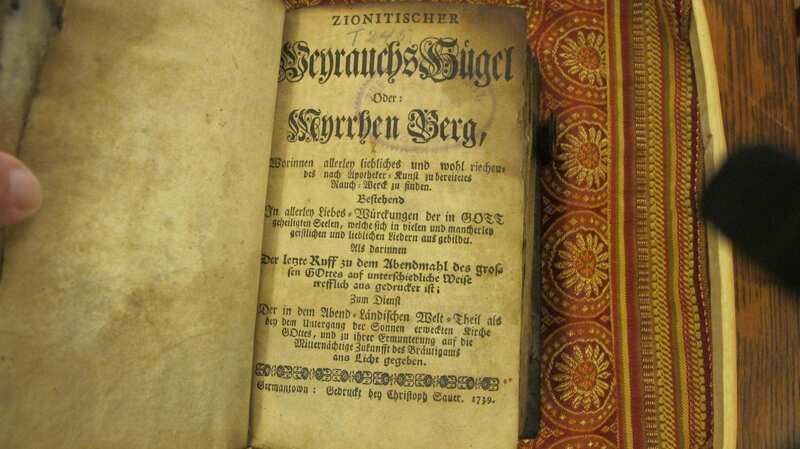 Sauer sought to cater to the large numbers of German immigrants in the Philadelphia area who were forced to either buy imported books or use books not printed in Fraktur facing. 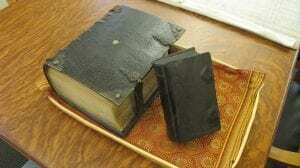 Four years later, in 1743, Sauer printed the first Bible in any European language in America. Lehigh Special Collections holds original copies of both of these books, which can be seen below.